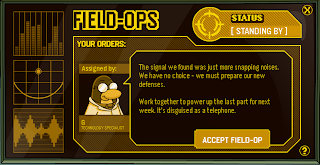 Club Penguin Cheats by Mimo777 Club Penguin Cheats by Mimo777: Club Penguin Weekly Field Op Number 20 Cheats! 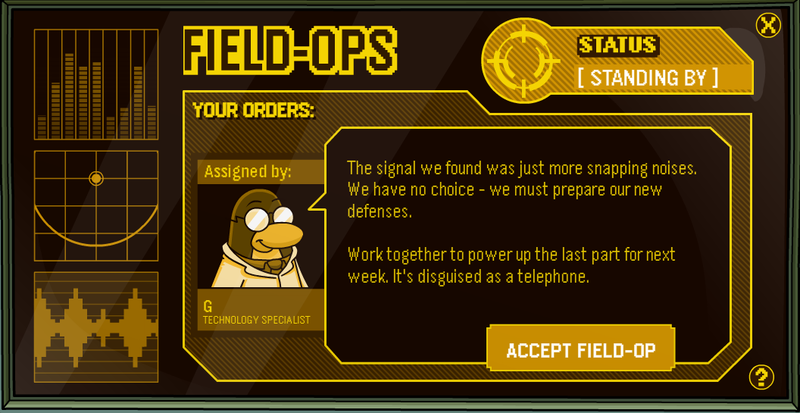 This week's Club Penguin Field Ops is here... finally! Step 7. Go up to the red phone. Your spy gadget light will turn green. It says "for the last part for next week," so it might mean that there will be new assigners next week like dot! THX mimo. 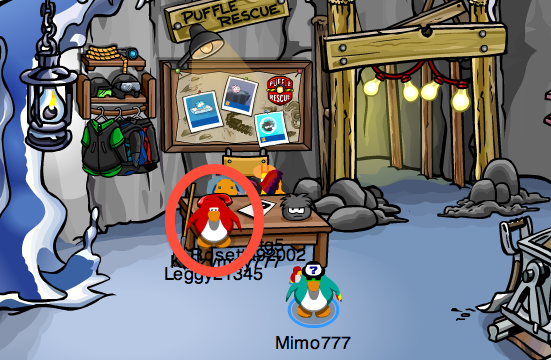 New Book Of CP at my Bookfair! Called "The Great Puffle Switch"! Awsome right? Hey Mimo, any new contests soon??? Cool. MIMO i gotta cheat! if u dance and change lcothes your clothes dance without u. its awesome! Please post this.! Hello, Legoman098! Possibly, but possibly not. Last time he said "final part" I thought that maybe the Directot would assign field ops, but it was only a new game. But anyways, it may happen now. Cool. MIMO I gotta cheat! if u dance and change lcothes your clothes dance without you. Its awesome! Please post this.! Mrflib22, this cheat has been posted a few posts ago! Go back and check it out if you like! Good eyes though, keep up good work!